… set to a double-speed tango – all in a 40-second animation romp. Reassembled furry and feathered critters make cameos, and the boot black/cobalt blue snippet feels like a manoeuvre by Mandrake the Magician to distract from some sleight of hand… but keep looking; details abound! The animated short film “Mr. 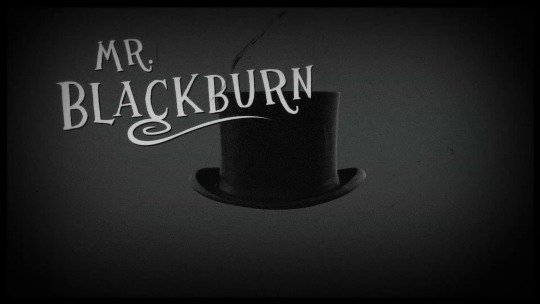 Blackburn” is a collaboration between motion graphic wizard Stephan Hilpert and visual artist Julia Murakami. US-Songwriter and composer Darius Greene contributed “Little Gruesome”, the wonderful whimsy song taken for this animation. “Mr. Blackburn” was shown in art galleries and at international film festivals in Germany, Spain, USA and South Korea.